Apogee will be exhibiting at the 25th Anniversary Meeting of the Great Lakes International Imaging at Flow Cytometry Association (GLIFCA). Don’t miss our exciting presentation on small particle flow cytometry Friday night at the Industrial Science Symposium! Apogee will be in attendance and exhibiting at Cyto 2016, the 31st Congress of the International Society for Advancement of Cytometry. This is the premier conference focused on flow cytometry, so don’t miss seeing the latest from Apogee Flow Systems - at booth 721. Apogee will be exhibiting in booth 1557 at ASM Microbe 2016. On display will be the A60-Micro, the premier flow cytometer for microbiological analysis and bacterial cell counting. 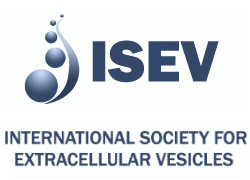 Apogee will once again be exhibiting at the annual meeting for the International Society for Extracellular Vesicles. This premier meeting for anyone interested in studying extracellular vesicles is not to be missed!